You’ve made your decision! You want to devote your time to becoming a makeup artist — but how do you get there? Sure, you can advertise yourself on Facebook or practise on friends and family, but will you learn all you need to know about makeup artistry? An NVQ is a work-based learning qualification that develops a person’s skills, so they’re ready for the working environment. Throughout the course, the student will have to demonstrate they have the required skills, knowledge and understanding to succeed. Therefore, Makeup Artistry NVQs are perfect for people who want structured, practical learning that can be measured across a certain period of time. You qualify based on competency — so if you pass, you know you’re good enough! Always check with the course provider whether they provide any kit and how much. Buying your own stuff is expensive, so it’s always good to know you don’t have to! There will also be a cost attached to any course you do, if there isn’t, you should check the credibility of the organisation or person who is offering it. You’ll often have to apply for an Advanced Learner Loan if you’re over 18 and aren’t applying through a college — but it’s paid back like a student loan because it’s funded by Student Finance. A course bursary may also be available to you that could help with the cost of childcare/travel or equipment. The least common way of qualifying to become a makeup artist. You’ll study the same modules you study at NVQ level, and there’ll be a certain amount of work experience involved. This route is ideal if you want to go to university and study a fashion or beauty related degree (there’s a degree in international spa management?! ), but if you’re interested in becoming an MUA, it isn’t the best way to do it. Consider this route if you’re interested in fashion makeup, visual media or theatrical studies. Unless you want to be a doctor or lawyer, you can start a career in many professions without any qualifications — and makeup artistry is one of them! Most importantly, you need to develop your skills, so you need to find enough people to practise on and remember not to rush yourself. Becoming an amazing MUA is a process, just because you’ve been applying makeup for 10 years, it doesn’t make you a pro. It’s possible to build your skills and portfolio and learn on the job, but it takes a lot of determination and commitment, and you have to be able to sell your brand; which is you! If you can’t resist the temptation to go it alone, start thinking about the best way to make yourself appealing. A lot of MUA’s go freelance who don’t have qualifications because it’s a ‘portable job’. But remember you need to build your cosmetics collection: brushes, palettes, sponges, eyeliner, foundation for all skin tones — expensive! And you’ll need a makeup case to carry your equipment, it doesn’t look professional turning up with a standard makeup bag. 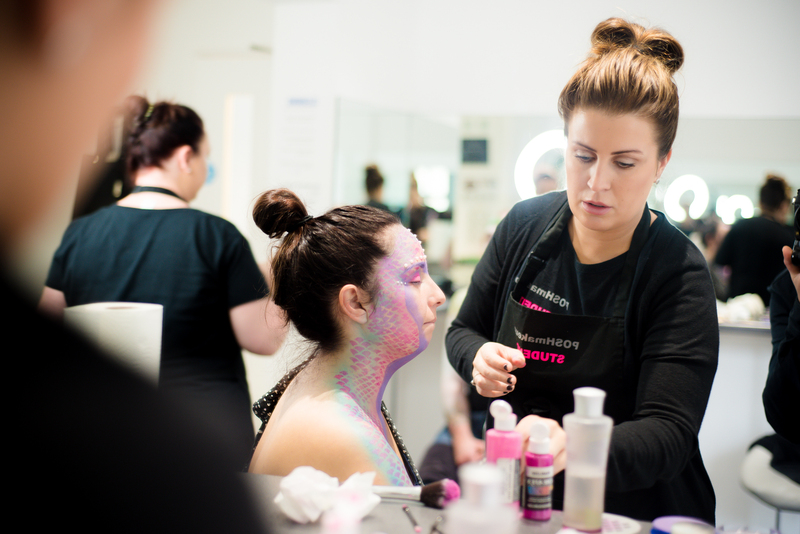 When you’re considering becoming an MUA, think about the best route for you. Don’t do what everyone else does. If you think you can go it alone, go it alone. Need support? Get it! It’s your decision.